A Pride and Prejudice "What If?" Story... 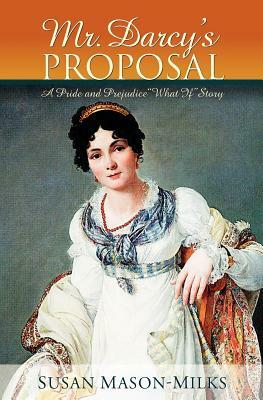 This retelling of Pride and Prejudice asks "what if" events prevented Fitzwilliam Darcy from proposing to Elizabeth Bennet that day at Hunsford parsonage? Darcy arrives with marriage on his mind, only to find Elizabeth has just received news her father is critically ill and not expected to live. In the process of offering his help to her in traveling home, Darcy discovers what she really thinks of him-and it's not good. Should Darcy deliver Elizabeth home to be with her family and then disappear from her life, or should he propose another kind of help? Will Elizabeth be willing to sacrifice her future happiness to save her family from financial ruin? Or, do she and Darcy, two very stubborn people, have a chance of finding happiness together?